Catalyst is well-known as one of the top brands in the iPhone case game, and have recently branched out into protective cases for AirPods, Apple’s popular wireless earbuds. We’ve been really impressed by these cases, and considering there’s a lot of cheap, bad cases out there we like to highlight companies doing a good job. So here’s the lowdown on our favorite Catalyst products. AirPods come in a smart charging case, which is good for keeping each bud from getting lost but not so great for protection against the elements. This silicon case from Catalyse slips snugly over the standard case, offering protection against bumps and scratches. It’s also drop-proof to around table-height and waterproof enough to survive a dunk without the AirPods getting wet. Even with the case on, the charging port is still accessible, and a detachable carabiner clip makes it easy to attach to a belt, bag or purse. There’s even a version that glows in the dark! The latest iPhones feature various levels of water resistance, but while their IP67 ratings mean they’ll probably survive a drop in a sink it doesn’t make it advisable to take them for a dip in the pool. That’s where the Catalyst case is in a world of its own – it’s the best fully waterproof case we’ve tested, perfect for trips to the beach where you want to take pictures amidst the waves or even under the surface. These waterproof cases are available for many – but not all – iPhone models. We tested an iPhone 7 Plus waterproof case from Catalyst without a drop reaching the device, and we’ve yet to see a competing case that does a better job, so we’re confident in the quality provided here. If you’re not concerned about liquid damage but are worried about knocks and scratches, the same company also offers shock and drop-proof cases for most iPhones for about half the price of a waterproof case. See the full range of Catalyst cases below, and make sure to get one that fits your particular iPhone model! 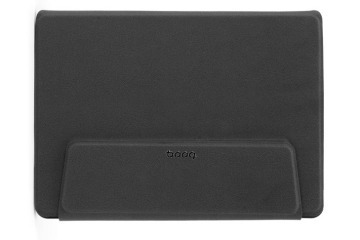 If you’re in the habit of taking your iPad out and about it’s worth investing in some decent protection. These cases have all the same benefits as the iPhone versions – they’re just bigger! Prices vary quite a bit depending on the type of iPad you have, so check out the links below to see if anything suits.